Sitting atop his horse at Tanque Verde Ranch east of Tucson, Ariz., Bennett looked relaxed, cool, collected even. And when Jake started walking around the corral after Bennett made a kissing sound (and thanks to some encouragement from Bennett’s instructor and Buckaroo camp counsellor, Emma Anderson), he grinned the biggest smile I’d seen in awhile. 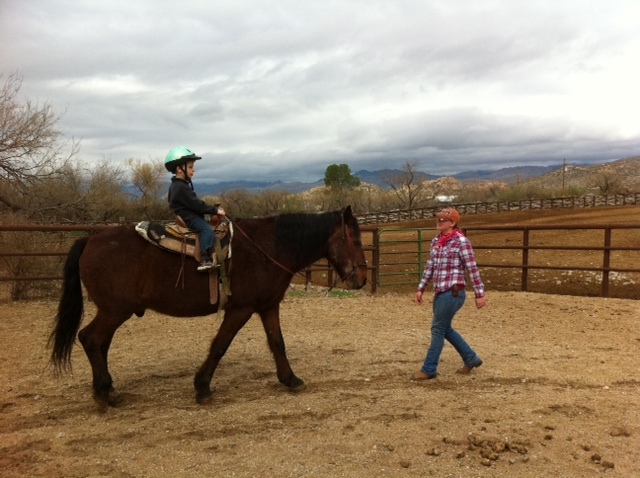 I had heard that horseback riding is great for children with autism. 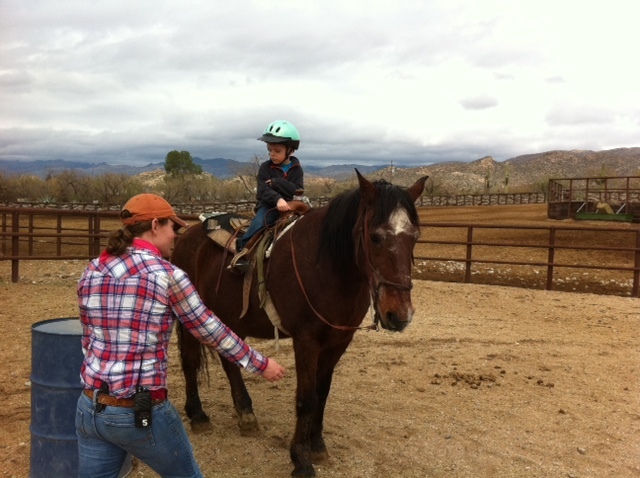 Called “equine therapy,” the benefits of sitting astride a horse range from vestibular sensory stimulation and bonding between horse and child, to gross and fine motor skill strengthening thanks to balancing to stay on the mount and steering with the reins. 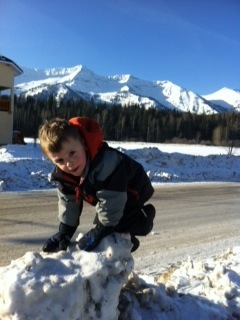 So when Bennett had a chance to go horseback riding at a dude ranch I suggested he try it. No argument there — he couldn’t get his helmet on fast enough. Bennett was super excited to go horseback riding. I half expected Bennett to chicken out and want down, or to bounce around precariously when Jake began a slow walk around the corral, but he just smiled and went with it. The coolest part was that Bennett was actually holding the reins. It would be a stretch to say he was steering Jake (the well-trained horse just followed Emma around), but the longer he rode the more confident he became. “He’s a natural,” Emma said as we walked around the ring with Bennett and Jake. “Just look at his seat.” A “good seat” on a horse is maintaining balance without grabbing an aid like the mane, and staying grounded in the saddle during the ride. Emma said some kids clutch the saddle horn or get jostled around. Not Bennett. He even rested his hand on his hip like a weathered cowpoke. A natural rider? Well, why not. Some things should come easily. When Emma asked Bennett if he’d like Jake to go faster his immediate response was, “Yes!” It took a lot more encouragement to get Jake trotting (Emma had to pull on his lead while jogging), but the result was priceless: Bennett absorbed the movement easily all while giggling. After trotting several times Bennett finally said, “I am all done riding.” I asked him if he’d like to ride Jake again later in the day and again his answer was clear: “How about yes!” I can’t say if Bennett bonded with his horse or even whether horseback riding helped his motor skills in any way. I do know it gave Bennett great joy to ride a horse and it’s one of the few things he’s tried that has been effortless, so that’s good enough for me. Trendy Phoenix/Scottsdale boasts an emerging cocktail scene and we were fortunate to have dinner at one of the city’s premier cocktail spots, Blue Hound Kitchen & Cocktails. Located right in the trendy CityScape complex and part of the new boutique Hotel Palomar, the Blue Hound is in a modern, funky purpose-built space and features an eclectic menu with southern-inspired dishes, such as my Kentucky Fried Quail with Fois Gras Cornbread (not a diet dinner). It also has one of the best cocktail menus in Phoenix, thanks to star mixologist Shel Bourdon. Our friendly waiter Zack recommended the Chartreuse Fizz for my mom, a mojito-like tall sip with green chartreuse, lime, mint and soda. Since I love rum, The Privileged Peacock was the obvious pick for me. 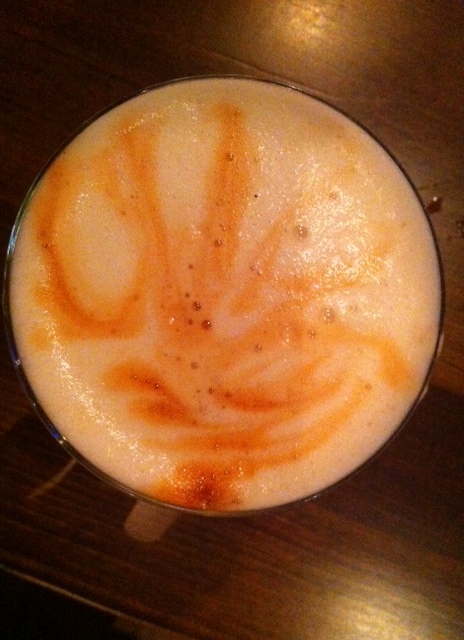 It came with a beautiful pattern decorating the egg white foam top, which manager Cheyenne Palm explained was from several dashes of Angostura bitters. Rather like a peacock’s feathers, this pretty design enticed me to drink it. Privileged, indeed! Combine all ingredients except bitters in a shaker. Dry shake to emulsify egg white, then add ice and shake to chill. 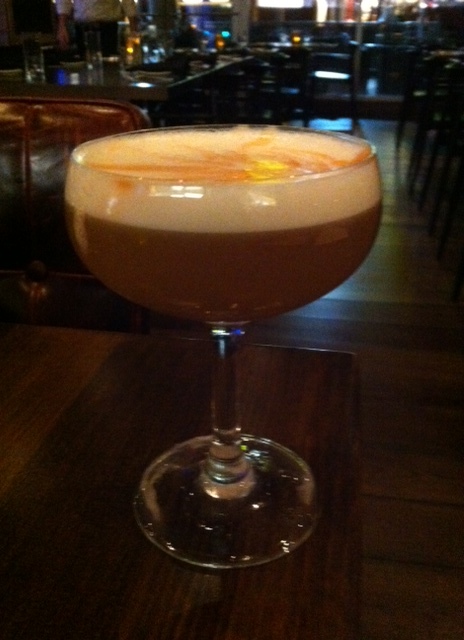 Strain into a coupette, dash bitters on top, then use a toothpick to make a pretty design in the egg white foam. 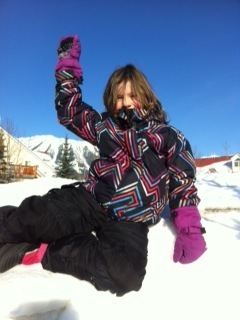 The downside of living in Calgary is the chilly winter weather. The good news is you can hop a quick, three-hour flight and find yourself in sunny Phoenix, where the average daytime temperature is 73F (about 22C). 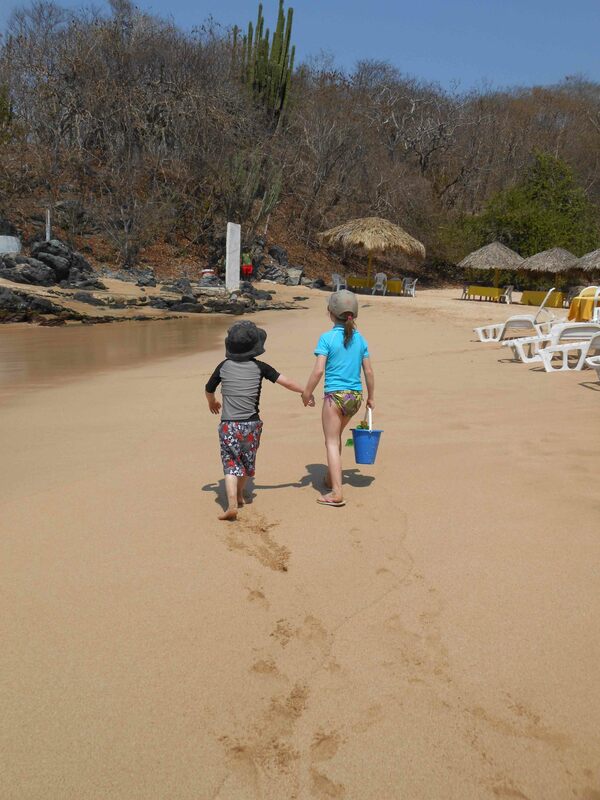 We arrived on Tuesday amid a “heat wave” and were delighted to experience a high of about 80F (26C). What to do in Phoenix with kids? Lots, it turns out. 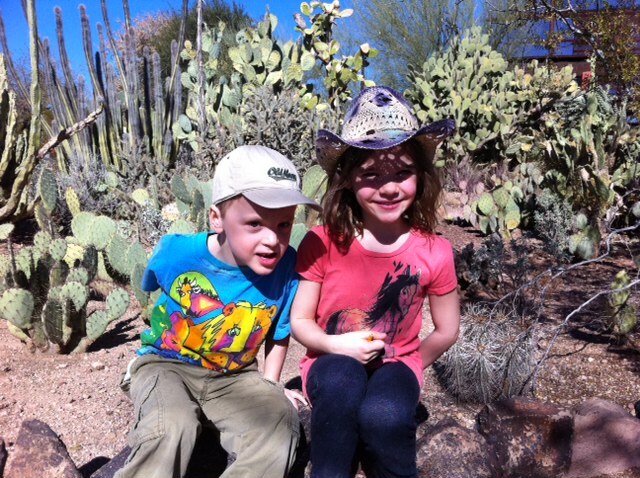 We started our explorations at the Desert Botanical Garden, in Papago Park next to the Phoenix Zoo. We strolled around paths that meander through 65 acres of cultivated space, with more species of cactus than I knew existed. There were favourites such as the tall Saguaro and prickly pear cacti, and lesser-known types like the teddy bear cactus (the prickliest plant I have ever seen) and the totem pole cactus, a completely smooth plant. We also saw birds including the cactus wren, Arizona’s state bird; lots of quails running around; and even hummingbirds. After Avery’s finger somehow attracted a bunch of tiny prickles she declared she’d had enough of the cacti. In happier times, before cacti prickles got Avery’s finger. Next stop: downtown Phoenix. For a big metropolitan city, Phoenix is refreshingly quiet. It’s clean and modern and the city has invested over $4-billion in infrastructure since 2006, including a new convention centre and a new light rail transit system. From the Renaissance Hotel, it was a 5-block walk to the Arizona Science Center. This is an amazing facility, more so because we were seemingly the only visitors. It was an hour before closing and it was virtually empty. This made it easy to get hands on with the outdoor ball and water park. 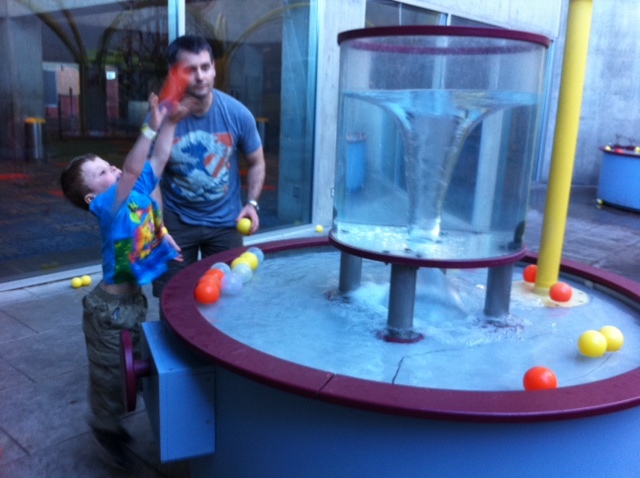 Bennett loved throwing balls into this water whirlpool. We also explored All About Me, a hands-on exhibit about the human body, where Avery and Bennett walked into a replica stomach and were farted out the intestine slide. The dramatic Forces of Nature movie was also a highlight. We watched a movie about volcanoes, tornados and hurricanes and actually felt their heat, wind and water thanks to the interactive stage we were standing on. 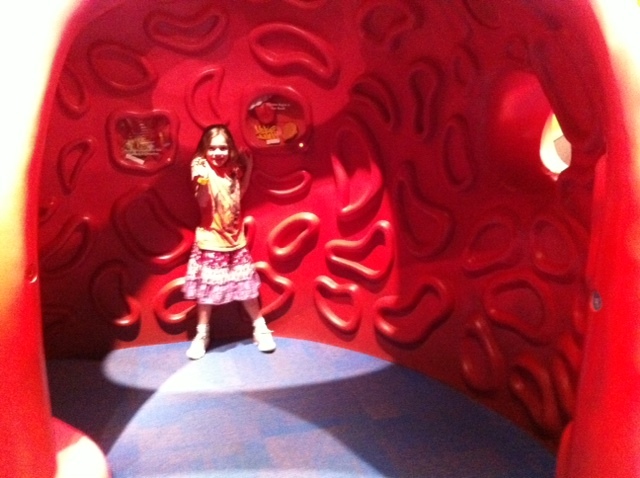 Avery loved listening to this interactive stomach/intestine gurgle and fart! Was this the busiest day ever? Just about. Thanks for entertaining and wearing out my kids, Phoenix! Who knew Bermuda had its own national cocktail? Its name, Dark and Stormy, implies the weather due east of Georgia can leave a lot to be desired, which is probably why the locals are hunkering down and tipping back a drink light on the ginger beer but heavy on the rum. Please excuse the Gurgle Pot. I promise it doesn’t make me drink like a fish. 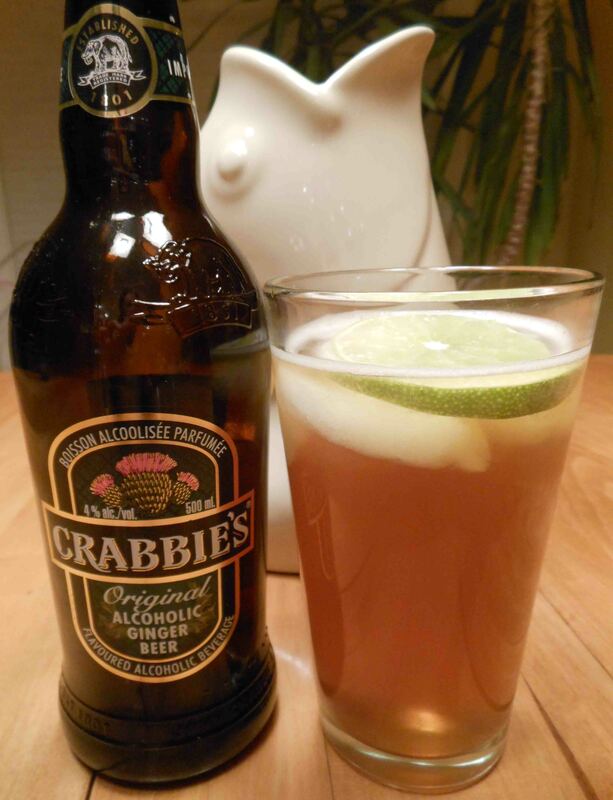 To even things up in the beer’s favour I poured in some more beer, mostly because I just really love tasting the ginger in this drink and Crabbie’s Ginger Beer, an alcoholic version out of the U.K., is so good I could almost do without the rum. I could also almost do without the lime (as could most “Bermudians,” according to Esquire), so I cut down its amount. 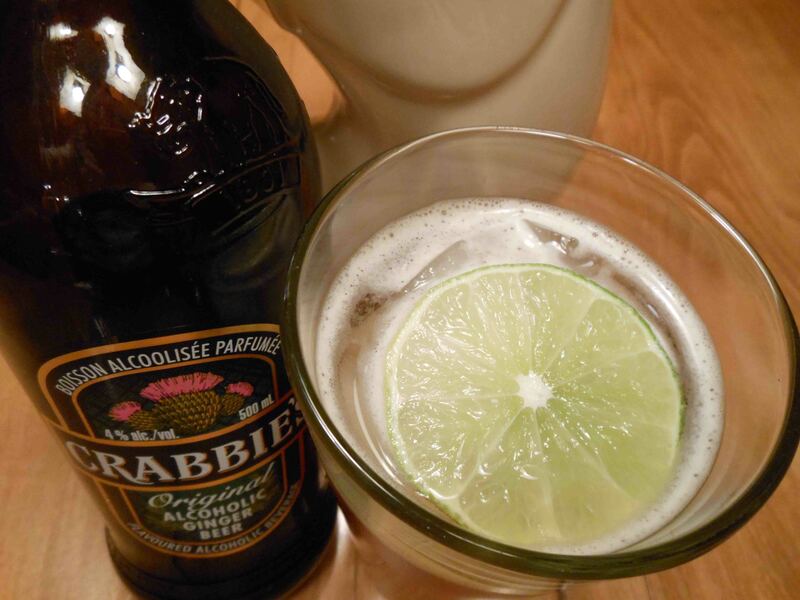 The result: a spicy, rummy drink that tastes great no matter the weather. I promise you can weather this storm! Build the drink in a Collins glass filled with ice cubes. Stir and serve. I finally went to see the movie Life of Pi this past weekend. I read the book years ago and had forgotten some of the finer details of the story, such as Pi’s introduction to various religions as a child, and the alternate ending with his mother, the cook and the sailor. I had also forgotten how I cried when Richard Parker walks into the Mexican jungle with nary a backward glance at Pi. It was so heartbreaking. Richard Parker leaves Pi without saying goodbye. For those who haven’t read the riveting book or seen the visually-stunning movie the story goes like this: an Indian teenager finds himself on a life boat with a Bengal tiger named Richard Parker and he must find a way to share the boat with the animal to ensure they both survive. A sort of high seas training ensues with the boy, Pi Patel, becoming the tiger’s master and also his unlikely mother, for lack of a better word. 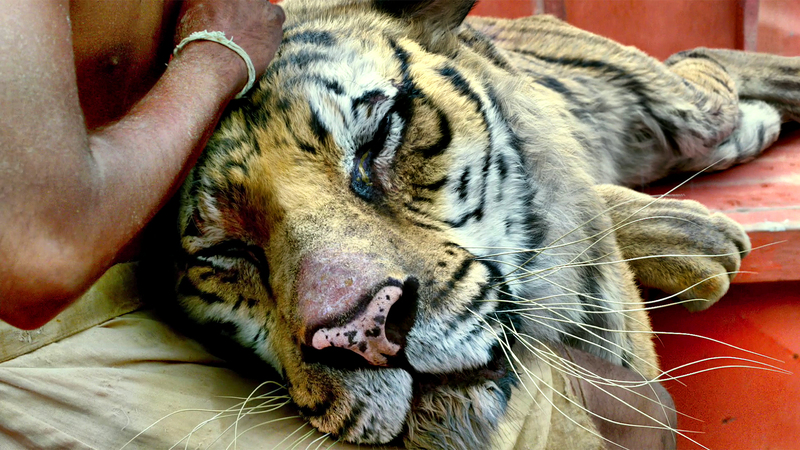 Pi feeds Richard Parker, provides him with fresh water and comforts him when the tiger is near to starvation. Pi comforts the tiger when he is near to starvation. 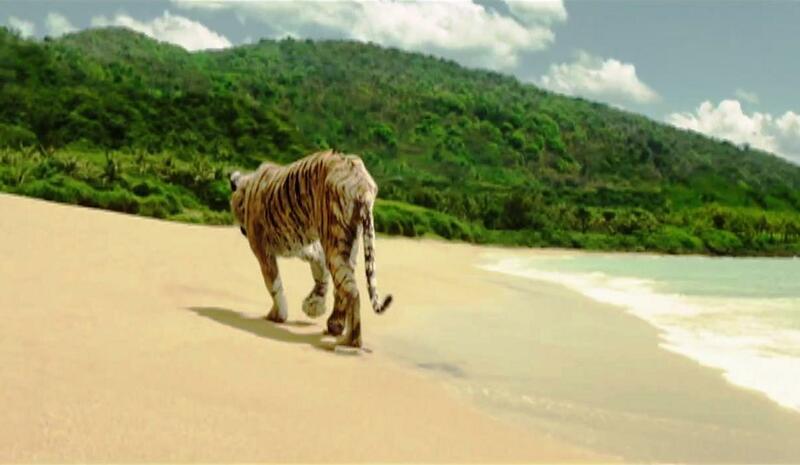 Pi watches Richard Parker leave him on the beach. It struck me that this is true and especially so for parents. We spend a huge part of our life raising our children and every stage involves letting go: of a chubby hand, a wobbly bicycle, a set of car keys. Our job as parents is to teach them the skills they need in order to let them go, but the difference between us and Pi is that usually we get to say goodbye: on the first day of school, before the first date, when dropping them off at university. We can’t imagine our children will leave us without saying goodbye. There’s something about goodbye that brings closure. It’s why friends and family members rush to the side of an ailing loved one, or failing that attend the funeral. To not say goodbye leaves you living with hurt from a void that can never be filled. On that boat Pi developed such an attachment to his tiger companion that Richard Parker’s abrupt departure is devastating. It’s hard to bear either way you interpret the story — with Pi as a boy losing his tiger; or the alternate ending, with Pi as a young man losing his innocence. It is indeed a departure for me to blog about wine, but here’s a confession: I really, really love red wine. I love sipping it with my husband or friends over nibblies and great conversation. I am typically an Aussie big-red kind of gal — I have even gone so far as to mock serious Pinot-lovers in a Swerve story — but I recently tried a Pinot Noir from New Zealand that I loved. This Pinot Noir from New Zealand is yummy. I could now try and BS about the wine’s nose, palate and finish, but I would just be making stuff up. The tasting notes mention things like strawberry aromas and fresh mushrooms. Seriously. To me, the Cloudy Bay Pinot Noir has a Pinot’s trademark “spicy kick,” and what I really like is how it feels and tastes more robust rather than “thin.” In fact, we liked it so much we drank the entire bottle in one sitting. Classy, I know. 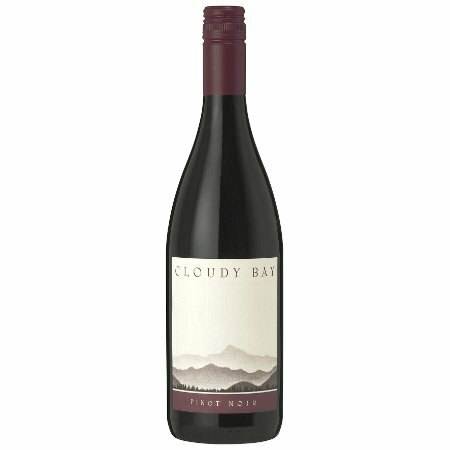 The 2009 Cloudy Bay Pinot Noir has just been released into the Alberta market, so get thee to a liquor store.